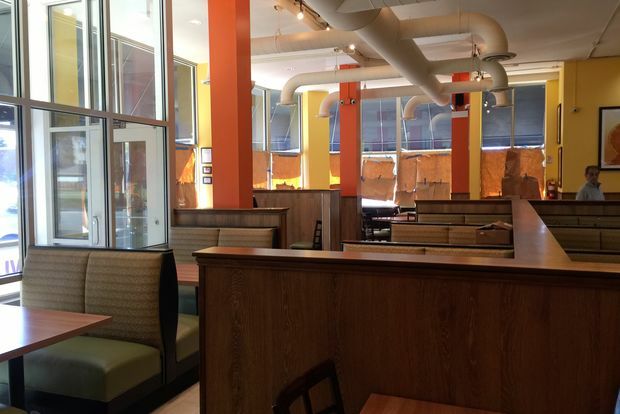 Eggsperience Cafe opens in Little Italy this month. LITTLE ITALY — A new restaurant with a massive breakfast menu will open soon in the former Grub at the corner of Taylor and Lytle streets. 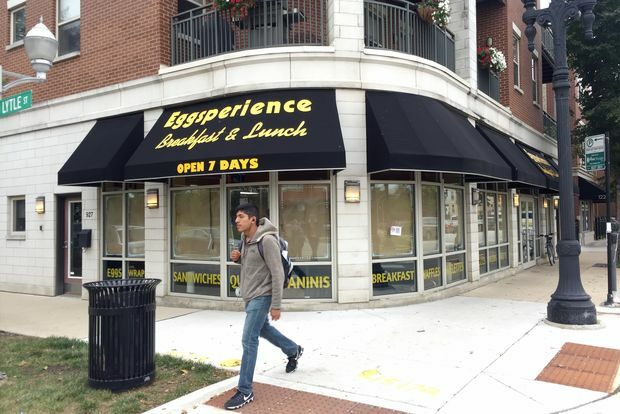 Eggsperience Cafe will have its soft opening at 1230 W. Taylor St. in the coming week, with a grand opening yet to be determined, managers said Wednesday. While the multiple Eggsperience locations are independently run, they do share the same menu, they said. It includes 11 varieties of pancake breakfasts, six versions of Eggs Benedict, waffles, crepes, frittatas and Mexican breakfast dishes. It will be the seventh Eggsperience in the Chicago area, with locations in suburban Glenview, Bannockburn, Naperville, Mount Prospect and Park Ridge. In the city, the only other Eggsperience is at 35 W. Ontario St.
Renovations are nearly complete at the new location, which will seat about 100 people. Eggsperience's signature orange and yellow walls and looks-good-enough-to-eat art create a sunny spot for neighbors and University of Illinois at Chicago students. The restaurant, which will be open until 3 p.m. daily, also serves lunch, mainly salads and sandwiches. Options range from a Cajun chicken and avocado wrap to a bacon lover's cheeseburger topped with three thick slices of bacon. For breakfast, Greek yogurt or berry oatmeal serve as healthy options leading off a menu loaded with decadence. Red velvet pancakes are topped with cheesecake spread and drizzled with Ghirardelli chocolate sauce. A sweet potato waffle is made with lightly battered chicken strips and a savory gravy with a hint of maple syrup. Those lacking a sweet tooth can check out breakfast tacos or a farm stand frittata made with spinach, mushrooms and diced bacon. Eggs Benedict is made with a choice of diced ham, sausage and bacon; corned beef hash; chorizo or the traditional Canadian bacon. At the other Chicago location, main dishes range from $6.49 to $12.99. On the breakfast front, Eggsperience will face competition from well-established Little Italy morning options including Sweet Maple Cafe, Scafuri Bakery and Stax Cafe. It replaces Grub, which closed in January 2016 after 15 months in business. Chef-owner Emanuel Washington said at the time that some neighbors harassed him and he'd been overlooked as a participant for Festa Italiana, but many complained that service was spotty and the food inconsistent. 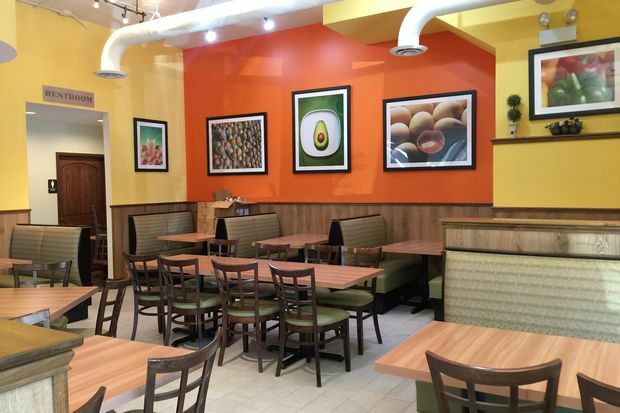 Before Grub opened in September 2014, the storefront was home to casual Brazilian restaurant Sabor Express. The building is part of the CHA's Roosevelt Square development.